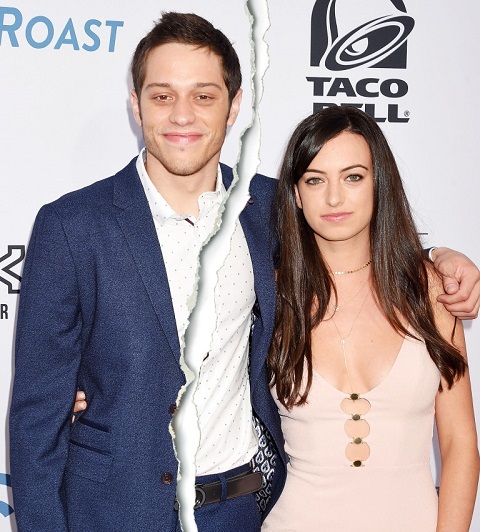 It's all over for Pete Davidson and Cazzie David! The Saturday Night Live alum has broken up with his girlfriend after two years of dating, multiple sources have confirmed. Pete and the Eighty-Sixed creator, were first caught together in May 2016 at the Red & Blue Soiree in New York City. The pair eventually started giving more public appearances as a couple, including the 2017 MTV Video Music Awards in Inglewood, California, that August. She’s the most beautiful girl in the world. Look how lucky I am! She’s so smart. … She is a very, very wonderful lady. Pete, who previously battled substance abuse issues later revealing in September that he was diagnosed with borderline personality disorder, credited Cazzie with helping him stay sober. I’m very lucky. She’s very, very supportive. I felt like if I just kept it to myself, nobody would know, but if everybody knows, then you kinda have to keep yourself in check so you don’t let anybody down. So I thought that was a good idea to do. In February, Pete apologized to the daughter of comic Larry David via his Instagram Story, subsequently deleting all of the posts from his account. However, sources claimed that they were still together. They weren’t fighting. They were just joking as comedians tend to do. When the rep for Pete was asked for comments, he didn't respond.